There’s nothing like getting in an old Chevy truck, sliding behind the wheel, and turning the key to hear that big block come to life. There’s nothing like that sound, unless the inside of your truck looks or feels like it just came off the farm. The old rug style seat covers with the rifle holster might have done well for grandpa, but you probably need to make some changes. Why? 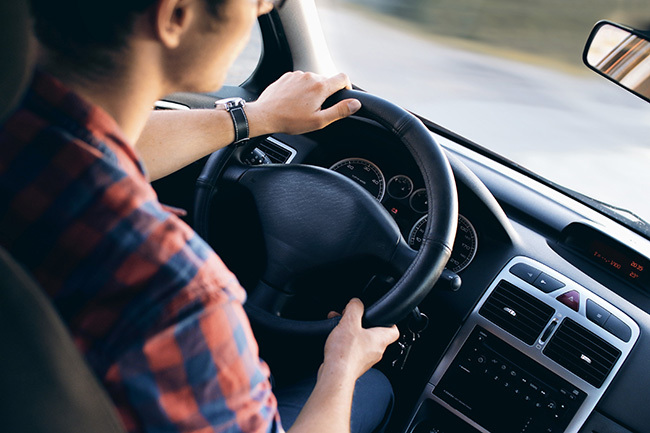 From seat covers to floor mats, from steering wheel to stereo, there are all kinds of modifications and upgrades you can make that will make it both work well and look great. Here are some tips on making the inside of your truck as good as what’s under the hood. Seats that are more than a couple of decades old start to have issues. From rips and tears on the outside to broken springs and deteriorating foam on the inside, many things can go wrong that will make your seats no longer comfortable. In fact, they can literally be a big pain. You could put seat covers on them, and if the main issues are cosmetic ones, this is a good solution. We’re past the days of universal seat covers that don’t fit well, to custom-made covers with padding of their own and even lumbar support and other comforts. The disadvantage is that seat covers can only do so much for your interior. Cosmetically they do offer some improvement, but even the best seat covers are still just seat covers. Having your seats reupholstered is your best course of action, but it’s a more expensive option. The advantage is that while the seats are apart, a good upholstery shop can fix springs, replace the foam, and totally restore the seats to beyond original comfort. Either way, the interior of your truck can be much more comfortable and better looking right away. Carpet is great in a truck, and you should replace your carpet when doing a restoration. There are affordable carpet kits that are pre-cut and easy to install. This does a lot to add to the original look of your truck. However, if you live somewhere with foul weather or you do a lot of off-roading, floor mats are a must. There are carpeted floor mats that look really good, and you may want a pair of those for when you show your truck, but for wet weather, off-roading, and other uses, a weatherproof pair is best. Husky Liners offer some that have a lip to keep debris and water away, and you can dump the mats out and clean them without staining your carpet or otherwise damaging your truck interior. There are other brands as well, and many come emblazoned with your truck’s logo. Much like seats, there are a couple of options here. Many older steering wheels were not designed for comfort in all temperatures and tend to break down over time. Vinyl cracks and the hard, plastic exterior wears and blackens over time. The choices are similar as what to do with your seats. You can cover the original steering wheel with a cover, preferably leather or something of similar durability. There are cheaper covers available, but they don’t look as good or function as well. In fact, the best covers are the ones you wrap around the wheel. Like seat covers though, steering wheel covers look like covers, and always will. Instead, you can replace the wheel altogether, and companies like Grant offer some attractive ones. Many have that “retro” look that makes your older truck look closer to its original appearance but with modern comfort and durability. Even if you’re working on a newer truck with airbags, there are still steering wheel alternatives. You may need help installing these, as working around airbags is trickier and may require special tools. You can find both types at places like summitracing.com. Older GM models were equipped with Delco stereos which were often state-of-the-art for their time. However, like many other items inside your truck, they often don’t age well. There’s some good news though: you can replace that stereo with a more modern one, often without altering the look. Places like Classic Car Stereos offer OEM style radios with Bluetooth, audio streaming, and more, but fit in your original speaker and dash locations with little to no modification. This means you don’t alter the interior appearance, important if you’re doing a restoration or showing your truck, but allowing for much better sound with more audio options. For many, music and the stereo are nearly as important as other comfort features like seats, floors, and steering wheels. There are of course many other interior modifications. Your lights can be replaced with LED equivalents. Door panels and handles can be replaced with OEM or better replacements. It all depends on what you want to spend, and how you want the interior of your truck to look. There’s nothing like sliding behind the wheel of an old Chevy truck, firing up that big block and going for a long, comfortable drive. Can I put larger tires on my truck? Want rugged traction for your truck, but can't decide between all-terrain or mud-terrain tires? We can help. If you want your burly truck or 4x4 to float over loose soil, consider a set of flotation tires.